Cimetrix's leadership team has more than 150 years of combined experience in the fields of robotics, machine control, and connectivity software, not to mention decades of experience in software design and development. This industry knowledge is invaluable in developing products that meet customer needs and solve some of the most complex and challenging issues customers face. Robert H. Reback—Chairman, President, and Chief Executive Officer—has served as a director of the company since July 2002. Mr. Reback joined Cimetrix as Vice President of Sales in January 1996, was promoted to Executive Vice President of Sales in January 1997, and became President on June 25, 2001. Prior to Cimetrix, Mr. Reback was the District Manager of Fanuc Robotics' West Coast business unit from 1994 to 1995. From 1985 to 1993, he was Director of Sales/Account Executives for Thesis, Inc., a privately owned supplier of factory automation software, and was previously a Senior Automation Engineer for Texas Instruments. He earned a bachelor's in Mechanical Engineering and a master's in Industrial Engineering from Purdue University. Mr. Reback grew up in Wisconsin and is a die-hard Green Bay Packers fan. He also enjoys skiing, running, hiking, reading, and golfing in his free time. He lived in Dallas, Austin, and Laguna Beach before moving to Utah. Prior to Cimetrix, Mr. Faulkner was employed from 1977 to 1996 by GE and GE Fanuc Automation, a global supplier of factory automation computer equipment specializing in programmable logic controllers, factory software, and computer numerical controls. He held various positions including Manager of PLC Marketing, Manager of Automotive Operations, and District Sales Manager. He earned a bachelor's in Electrical Engineering and a MBA from Rensselaer Polytechnic Institute. Outside of work Mr. Faulkner stays very active. He enjoys fixing things such as houses, cars, and boats. He also loves the outdoors, hiking and backpacking, hockey, skiing (both water and snow), concerts, and travel. He has moved around extensively for work, but he is originally from New England. Jodi Juretich—Chief Financial Officer—joined Cimetrix in May 2007 and was promoted to Chief Financial Officer in November 2008. She has over 15 years of experience in executive accounting management for private high-growth companies and 10 years of public accounting experience. Prior to joining Cimetrix, Ms. Juretich was Vice President of Finance for two venture funded private companies, General Manager for a subsidiary of Monster.com, and an Accounting Manager with a division of The Times Mirror Company (Los Angeles Times). She has played key roles in raising venture capital in start-up organizations, led Cimetrix in implementing and managing the new Sarbanes-Oxley compliance requirements, played key roles in setting up international offices in Asia and oversees all HR and employee culture activities. Ms. Juretich earned a bachelor's in Business Management from Westminster College. Ms. Juretich grew up in Titusville, Fl., where her father worked for NASA, but has been living in Utah for over 20 years. In her spare time, she enjoys challenging herself by competing in triathlons and competing in Ironman races. 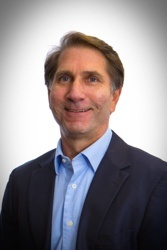 Alan Weber is currently the Vice President, New Product Innovations for Cimetrix. Previously he served on the Board of Directors for eight years before joining the company as a full-time employee in 2011. He has been a part of the semiconductor and manufacturing automation industries for over 40 years. He spent eight of those years as a Program Manager for SEMATECH, 18 as an Engineering Manager at Texas Instruments, and nearly 10 years as President of his own company, Alan Weber & Associates, Inc. Mr. Weber holds bachelor’s and master’s degrees in Electrical Engineering from Rice University. Ranjan Chatterjee—Vice President & General Manager, Smart Factory Business—joined Cimetrix at the first of 2016. Previously he had worked as the General Manager for Motorola Solutions — Software Solutions from 2007 to 2015 and as the Manager — Automation Systems Business Unit at Motorola — Global Software Group. He originally started with Motorola Corporation in 1989. With over 25 years in the technology industry, Mr. Chatterjee has a natural ability to identify market opportunities, define and create winning products and strategies, and formulate unique go-to-market software business models. He has degrees in Computer Science from both the University of Pittsburgh and Carnegie Mellon University. 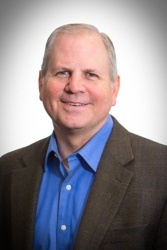 David Francis—Director of Product Management—has worked in the semiconductor industry for more than 29 years providing software and services in manufacturing automation. 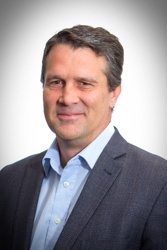 Prior to joining Cimetrix in 2010, he worked as Director of Product Engineering at Applied Materials from 2007 to 2008, as both the Director of Product Engineering and the APF Product Manager at Brooks Automation from 2000 to 2007, and as the Director of Operations at Auto-Soft Corporation from 1993 to 2000. He has a bachelor's degree from the University of Utah and an MBA for University of Utah – David Eccles School of Business. Mr. Francis is originally from Utah, but he has also lived in Japan, Austin, and England. He is very involved with the Boy Scouts of America and loves to be involved with community service opportunities. His family is the most important part of his life. 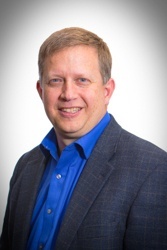 Brian Rubow is the Director of Solutions Engineering for Cimetrix. He is well-known within the industry due to his involvement with the SEMI standards committees. He currently serves as the co-chairs for the North America Information and Control Committee, the North America GEM300 Task Force, and the North America DDA Task Force. 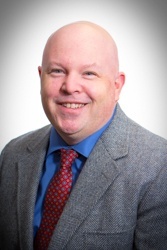 Mr. Rubow has Bachelor of Science in Mechanical Engineering degree and a Master of Science in Manufacturing Engineering degree both from Brigham Young University. Mr. Rubow is a native of the Chicago area and also spent a few years in Massachusetts before settling down in Provo, Utah. In his free time, he enjoys cycling, camping, mountain biking, beekeeping, gardening, audio books, genealogy work and woodworking. Richard Howard - Director of Technical Operations—has over 30 years of experience in both vertical and custom software development, and has been with Cimetrix since 2011. Mr. Howard previously worked for Murata Machinery USA/ICIS, Inc. as a Senior Software Engineer and Principle Software Engineer. During that period, he worked with large companies such as Honda, Fuji Film, Jet Blue, Fed Ex, Ford, Sony as well as many others involved in manufacturing and distribution. He also has been in various roles for firms developing software for credit unions, banks, insurance, leasing, home automation and medical records. He has degrees in Business and Engineering from the University of Utah and is a Professional Scrum Master. Outside of work, Mr. Howard has many interests including music, cooking, golf, home remodeling, and musical theatre. He has traveled extensively throughout the U.S. and abroad. Howard briefly lived in New Mexico and Kansas, but, otherwise, Utah has always been his home. David Warren is the Director of Software Engineering for Cimetrix where he manages a team of software engineers that develop the company's product line and improve and maintain existing products. Mr. Warren has over 20 years of total experience and expertise as a software developer. He started with Cimetrix in 1994 and has also worked at Design Synthesis and Philips. Mr. Warren has helped create, develop, and maintain software products for factory automation for many different industries including semiconductor, packaging, surface-mount technology, assembly, and CNC machining. He holds both a bachelor’s and master’s degree in Mechanical Engineering from Brigham Young University. Mr. Warren grew up in Kansas and has also lived in Ohio and Italy. Outside of work, he enjoys spending time with his family. You can often find them camping or off-roading in the great outdoors. Bill Grey holds the title of Distinguished Software Engineer at Cimetrix. He joined Cimetrix in 1999 and has filled multiple roles since that time. 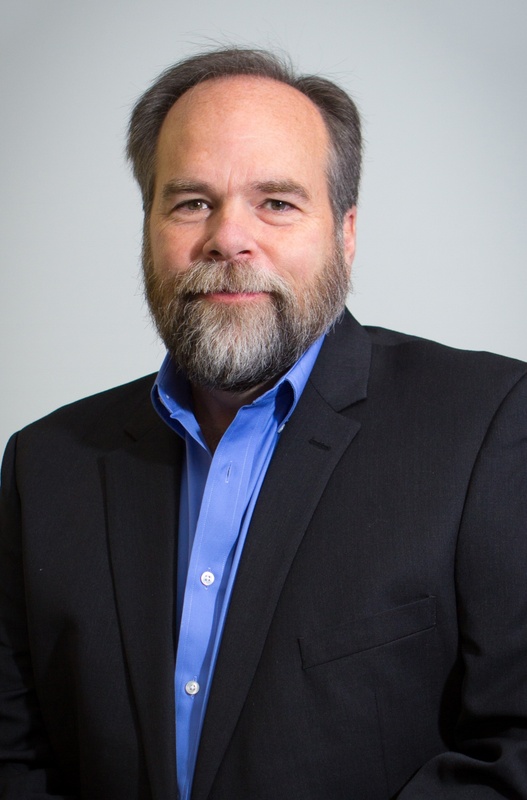 Mr. Grey has been developing software for more than 25 years in a variety of industries including Philips Broadcast Television Systems, Boeing Commercial Airplanes, and the U.S. Geological Survey. He specializes in Windows software development, Scrum/Agile development, software architecture, software processes, and the software life cycle. When not at work, Mr. Grey has a variety of ever-changing hobbies that has included restoring hot rods, cooking, golf, blacksmithing, woodworking, and most recently learning to play the guitar and banjo. Grey is originally from Salt Lake City.